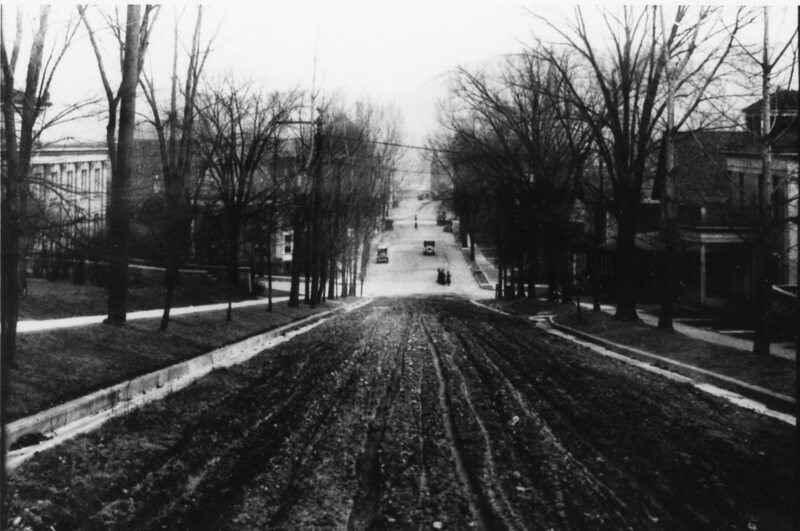 Our first photo features a terrific view of an un-paved Pine Street. When I was an elementary school student I lived in the house seen on the right hand side of the photo – the one with the small front porch located just above the alley. So I recognize the exact location the photo was taken – as I’m sure do many of you! The photographer was standing in the middle of Pine Stree at the intersection of Pine and Second Streets looking down the hill and towards Centerway Square. From the look of the cars in the distance, I would speculate that the photo was taken in the 1930s. And you can clearly see the courthouse building on the left side of the photo. 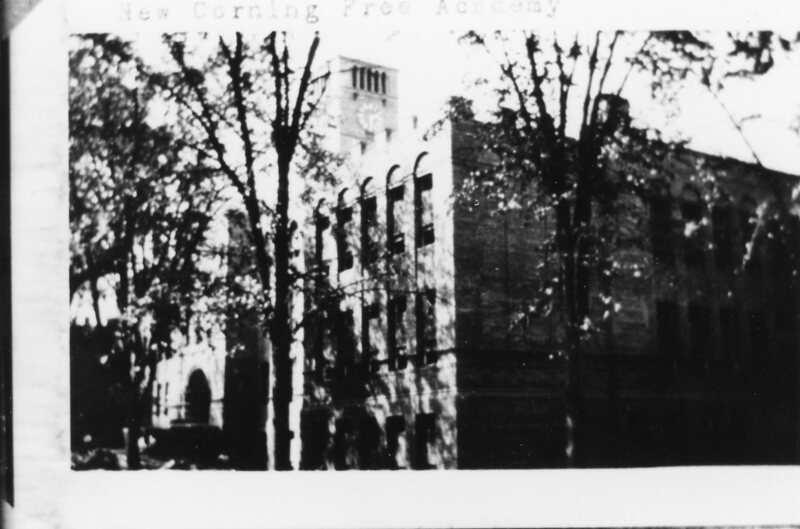 Our second photo for this week is of the “New” Corning Free Academy building. Although what year the photo was taken remains a mystery – this one too is a cool photo! And if you find any old photos or postcards of the Corning area that you don’t know what to do with – you can always donate them to the library!